With a large selection of MINI vehicles available for drivers in Annapolis, Highland Beach and Hillsmere Shores, we welcome you to check out two truly spirited vehicles. 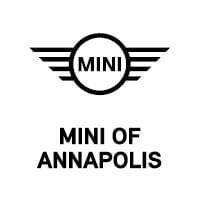 The lot at MINI of Annapolis features the MINI Cooper Clubman and MINI Cooper Countryman, each distinct in what they bring to the table but both worth considering as your next vehicle. With strong performance, ample amounts of cargo space, and tech features that you make you feel at home, both cars offer a lot to drivers in the region. Read on below to learn more about each and see which one fits your lifestyle. The base engine on the MINI Clubman is a 3-cylinder providing a peppy 134 horsepower. You can upgrade to the TwinPower turbo engine mated to an 8-speed automatic transmission, with three different driving modes to provide the performance you’re looking for. The Countryman is also equipped with a 134-horsepower 3-cylinder engine, along with turbocharged 4-cylinder engines that offer 189 and 228 horsepower, respectively. This provides better acceleration and performance for those who do a lot of highway driving. The driving modes available in each are a convenient feature. Green mode will personalize fuel delivery for a more economical drive. Sport mode tightens steering for a more responsive and thrilling ride. The mid mode setting provides a balance between the two. All you have to do is flick a switch to enjoy the mode that fits the drive you want to have. Both vehicles comfortably seat five, with front legroom spacious in both vehicles. The 2018 Clubman offers 41.4 in. of front legroom, while the Countryman clocks in at 40.4 in, enough space to stretch your legs and rest your feet for longer drives across town. Behind the rear seat, the Clubman offers 17.5 cu. ft. of cargo space. The barn-style doors open wide as they swing out, which can make loading items into the back an easier process. Overall, the Clubman offers up to 47.9 cu. ft. of cargo volume. The Countryman, on the other hand, offers 47.6 cu. ft. of cargo volume, about the same as the spacious Clubman. In the Countryman, the doors are instead like most other SUVs, with a single swing-up hatch. Both vehicles come equipped with an infotainment system, a 6.5-inch display. 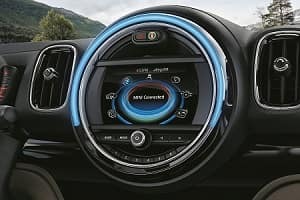 The MINI Connected interface uses an intuitive dial to select radio stations, link up popular apps like Spotify and Pandora®, and check vehicle settings like lighting and current driving mode. Upgrading to an 8.8-inch touchscreen which features Apple CarPlay™ is an option. With this technology, you can connect your smartphone to the touchscreen and read text messages, play music and use select apps right from the easy-to-use touchscreen. After reading what both the 2018 MINI Cooper Clubman and MINI Cooper Countryman have to offer, visit MINI of Annapolis to see both of these vehicles in person. We are proud to serve drivers in Annapolis, Highland Beach, and Hillsmere Shores. Our service center is here for you to perform any maintenance long after you’ve left the lot in your next car. Stop in to our showroom today!